Has your family outgrown your current home? The solution might be closer than you imagine. In fact, it may be underground. Finishing your basement will add usable space to your home without the construction involved with an addition. Basement finishing is an affordable way to transform an area you already have into a functional space your family can enjoy. Get Your Basement Project Started Today With a No-Risk Estimate and Design Consultation. Our team of renovation experts in Farmington Hills will measure your basement and discuss storage and usage needs. Next, we put together a complete estimate - keeping your budget and style in mind. With all the different materials and finishes on the market, you need an expert to explain the benefits and costs of each. We take the time to educate you on your options because we know that it leads to happier customers. Don’t let Your Basement Become a Dumping Ground. A finished basement can include built-in shelving for storage and a livable space. 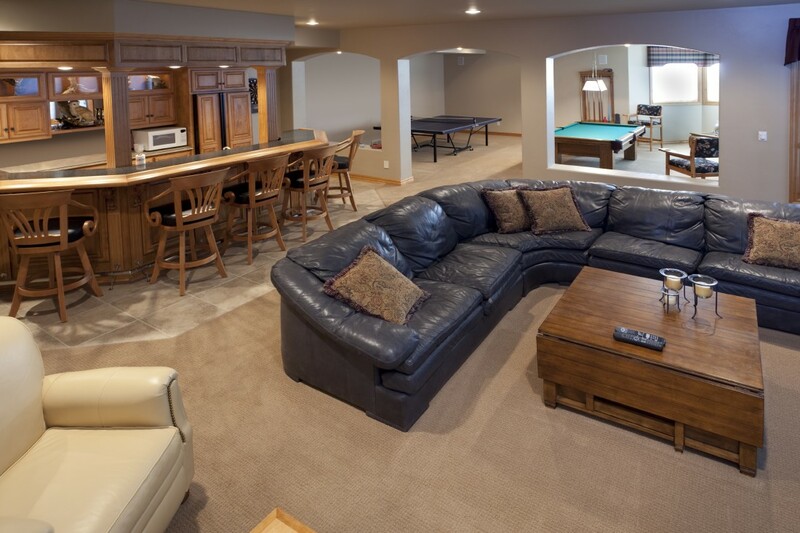 Before you choose how to finish or renovate your basement, consider how you will be using it. Do you plan to entertain friends? Will the area be the designated “toy room”? Do you need extra storage space? 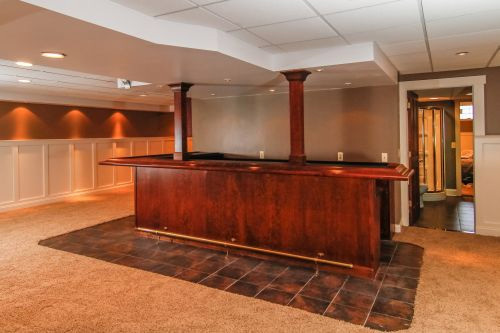 Considering the way you will use the space is the first step in designing your dream basement. Lighting: The most critical component to your basement is lighting. Natural and artificial light can work together to create a room that people want to hang out in. Waterproofing: We take every precaution to avoid flooding in your basement, we also plan ahead for disaster by using flooring that can handle getting wet and installing floor drains. Plumbing: A bathroom is an incredibly valuable addition to your basement. Plumbing that runs above ground will likely need a grinder and pump, our team will assess your plumbing during the estimate. Do you want to be THE house? That house where all the kids want to hang out. Your new basement will become the action center of your house. Do you want a home theater but don’t think you have space? Your basement can become the most comfortable movie theater you’ve ever been to. Maybe you want a built-in bar and cocktail area. Your basement can become almost anything you can image. Give us a call today at (248) 921-0735 to get started with a free design consultation.